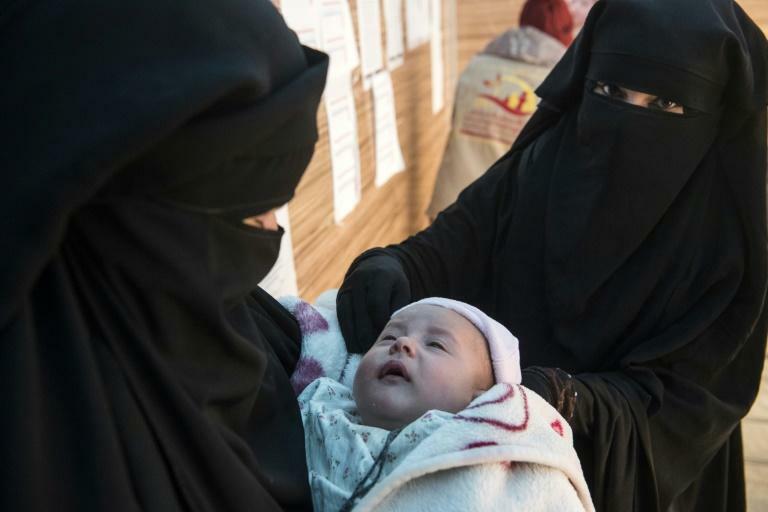 They survived the Islamic State group's crumbling "caliphate" by a thread, but skeletal babies streaming into this displacement camp in northeastern Syria now face a race against malnutrition. 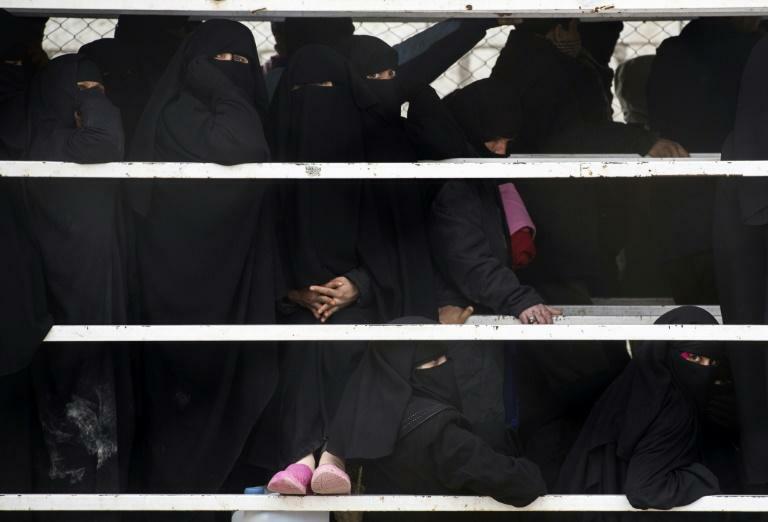 Truckloads of gaunt women and children fleeing IS's last stand in the Euphrates Valley disembark daily at the Al-Hol camp, including 200 who arrived Thursday. "They're just skin and bones when they get here," Kurdish Red Crescent (KRC) paediatrician Dr. Antar Senno told AFP at a makeshift clinic in Al-Hol. 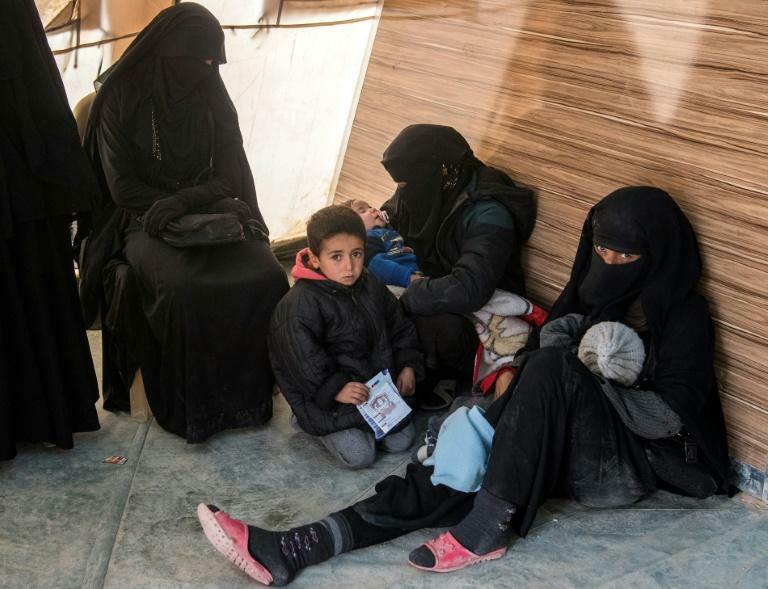 They have suffered desperate conditions in the last pocket held by IS near the village of Baghouz, close to the Iraqi border, with little food, water or medicine. KRC workers quickly scan the infants –- particularly those under a year old -- for thin limbs, taut and dried-out skin, or signs of diarrhoea, said Senno. Medics at Al-Hol, which has been flooded with more than 25,000 displaced people in recent weeks as military operations ramped up, do not have the capacity to treat severely malnourished children and must send them on to hospitals in the city of Hasakeh an hour away. "They're practically dead when they get here. But if we can catch them and send them to hospital in Hasakeh, we can save their lives," he said. More than 37,000 people have fled the shrinking IS-held enclave in the eastern province of Deir Ezzor as the US-backed Syrian Democratic Forces bear down on the jihadists. Many walk for days in the desert to reach an SDF-run collection point, where they are screened, provided with some food and water and loaded into trucks for the hours-long journey north to Al-Hol. They escaped 20 days ago and were brought to Al-Hol. She was allowed to accompany him to Hasakeh for the day but has not been authorised to return. Authorities at Al-Hol have imposed tight security measures amid fears jihadists could be posing as fleeing civilians. The KRC told AFP it had transferred dozens of SAM cases from Al-Hol to Hasakeh in recent weeks, including 29 currently being treated there. But infants can become malnourished even after they arrive at Al-Hol, said the Mar Ephraem medical charity, which operates a children's clinic in Al-Hol. Three-month-old Yaqin had arrived in Al-Hol over a week ago, carried by her mother, Shamaa. "We've been here 10 days but her weight keeps going down, not up. She has diarrhoea and is vomiting," said Shamaa, 23, pacing anxiously as she waited for an ambulance to Hasakeh.